For the generation who grew up in the 1980s watching VHS movies with synth-laden soundtracks, the city of Los Angeles has an evocative allure. Palm tree-lined boulevards, seedy dive bars, fast cars and big hair – the sense of nostalgia for this period of extravagance and optimism leaves a strong impression on those who were raised on this particular strain of Americana. Parisian producer Krikor Kouchian is no different, and it’s this very feeling that he’s explored on his new album, Pacific Alley. In the past Krikor has largely released music using just his first name. His discography reaches back to the late 90s and a variety of different styles, from lively ‘French touch’ club tracks to chopped up micro-sampled house, even dabbling in indie rock / electronic crossovers on labels like Tigersushi. 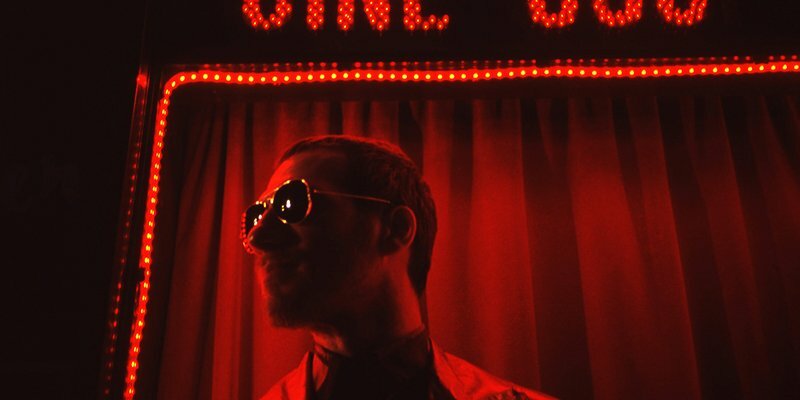 Throughout this time the consistent feature in Krikor’s work has been a restless energy and a bold sound palette – you tend to notice when one of his track gets played. Pacific Alley is a more reflective record than some of Krikor’s previous work – for every lively dancefloor track there is a moment of melancholy – and this duality matches the artist’s own feelings about the city he chose as his muse for this project. The album could easily pass for a soundtrack, it’s made up of short, distinct vignettes that play out like individual scenes, but the unmistakable flavour of the 80s and 90s is hard to miss in the gated snares, warbling synth lines and slap bass licks. The backwards glance also translates to the videos that Krikor and Nathalie Gasdoué have made to accompany the album. Although he was using modular equipment for the videos, Krikor’s main ingredients for the music onPacific Alley were a more modest, focused selection of old drum machines, synthesisers and effects units that he used on every track in a bid for a cohesive overall sound. He also placed limitations on himself to complete the music as quickly as possible. Krikor credits his embrace of creative limitations now with years spent producing solely on computers, initially using an early version of Live in 2001 and exploring Max/MSP as part of his studies at the Conservatoire in Paris. Even if he didn’t set out to make an explicitly ‘retro’ album, Krikor used older equipment at the start of the signal chain, inevitably resulting in music that captured a particular moment in time. 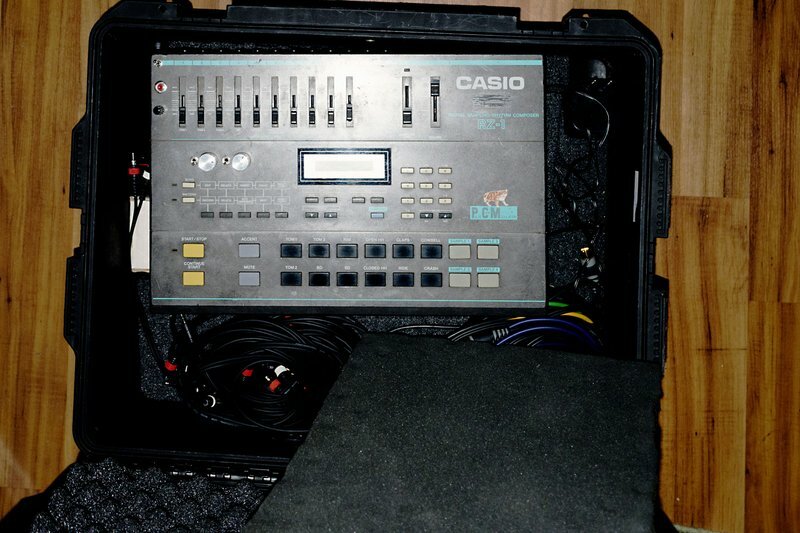 Central to the kit list was his modified Casio RZ-1 drum machine, which had custom soundbanks loaded into it featuring samples from the classic LinnDrum, TR-808 and CR-78 machines. The 8-bit processing of the RZ-1 gave these familiar sounds an additional digital crunch. As well as the RZ-1, other key instruments included the Roland Juno 2 and Yamaha DX100 synthesizers, but one of the more cult units included on the album’s equipment list is the Fairlight CMI. A notoriously expensive, rare and complex synthesiser, the Fairlight is the origin of some of the quintessential sounds of the 1980s thanks to its use by acts like Herbie Hancock, Art of Noise, Jan Hammer and more. However, Krikor is the first to admit he doesn’t have the budget or connections to use an original Fairlight on his album. While the compositional side of writing Pacific Alley was focused on immediate, jam-friendly results, Krikor placed as much importance on the processing and mixing to achieve the sound he was aiming for. All of the tracks, once completed, were bounced to a particularly crusty cassette for a final layer of dirt, but before that came many stages in the signal chain. 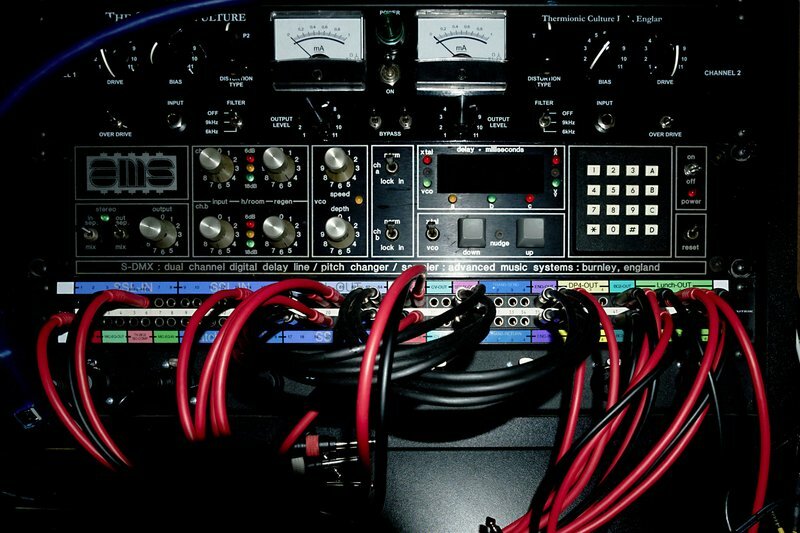 Still in the hardware realm, the most significant outboard processor was the AMS S-DMX, a pitch-shifter, delay, harmonizer and sampler which helped shape sounds on almost all of the album. After the initial recording stage, the majority of the sonic treatment was done in Live using a variety of plug-ins and patches. For example, the distinctive pitch-bending wobble on the lead synth in ambient track “Armas Y Heroinas” was achieved through a Reaktor patch designed to apply a warbling effect, as well as additional rack effects Krikor created in Live for his own instruments (more on that later) and also the Ampex ATR-102 mastering tape recorder plug-in from UAD, before finally hitting the actual cassette for the final master bounce. Although he applied processing to age and warp the sonic content of the album, from a mixing point of view Krikor didn’t adhere to a specific ‘old-school’ approach, or indeed any method that differed from the approach he has always taken with his music. In terms of bringing classic equipment into a modern production workflow, Krikor has been doing his bit by creating a special set of Instrument and Effect Racks for Live modelled on his approach to drum machines in the studio. The first three, emulating iconic Roland machines the TR-808, TR-606 and DR-110, are available as free downloads. Rather than simply providing another interface to play well-worn drum machine sounds, Krikor applied some processing of his own, and a range of controls to push the devices into exciting new sonic territory. “The idea started from having fun with my 808 and the BIM delay by OTO Machines, and I wanted to share it,” he explains. “The sounds were recorded through the BIM’s 12-bit delay, with a 100 percent full wet signal but no delay applied, so the 808 just gets translated into 12-bit. As well as the 12-bit drum sounds themselves, Krikor has created effects racks for each of the drum machines that offer many different ways to manipulate the sounds. The ‘OTO BIM TR-606’ device comes packaged with the aptly named TR-606 Destroyer, an additional effects rack that can be used on any instrument you like, but does a particularly fine job of applying distortion, low-res reverb and other artfully shaped means of degrading the original drum sounds. The ‘Mr. T-DR-110’ features a filter, a pitch shifter, the ‘Mr. T FX’ and ‘MS20-izer’ that, when combined, can contort a dry, familiar sounding beat into a thrilling new proposition. It’s with the TR-808 device that the impact of the effects is most noticeable – the clean drums sound fine on their own, but by engaging the ‘Old School Spank’ effects rack, your beat instantly leaps forth with a rich new ferocity. The ‘Phazing Tape’ parameter is particularly striking, edging pitch fluctuations into the mix with wonderful, musical results. True to the punky style Krikor has adopted since his earliest releases, these are the perfect devices for those who like their beats to be loaded with dirt and personality. The most significant drum set for Krikor in the making of Pacific Alley was the LinnDrum, and in line with his previous creations, it’s no surprise he was inspired to create an instrument rack celebrating Roger Linn’s iconic 80’s rhythm box with a few twists thrown in for good measure. Much like the other instruments, Krikor applied his own unique signal chain to the iconic sounds by loading the LinnDrum samples onto the RZ-1 and recording them through the OTO Machines BAM reverb effect. As with the other instruments, he multi-sampled the drum hits with varying decays and amounts of gritty, 12-bit reverb to give some wildly differing results. The accompanying ‘Purpleizer’ effects rack was of course crafted with one particular LinnDrum user in mind. Coinciding with the release of Pacific Alley and this interview, Krikor has offered up his Pacific Alley LinnDrum instrument and FX rack as a free download to Ableton readers. You can grab the whole package in the link below, but first watch a trailer for the instrument that captures the spirit of Pacific Alley perfectly. Keep up with Krikor on his website and on Soundcloud.